Nothing beats a perfect vacation in this beautiful island of Boracay. Filipinos and foreign travelers will always be captivated by Boracay’s pristine blue waters and amazing sunset. 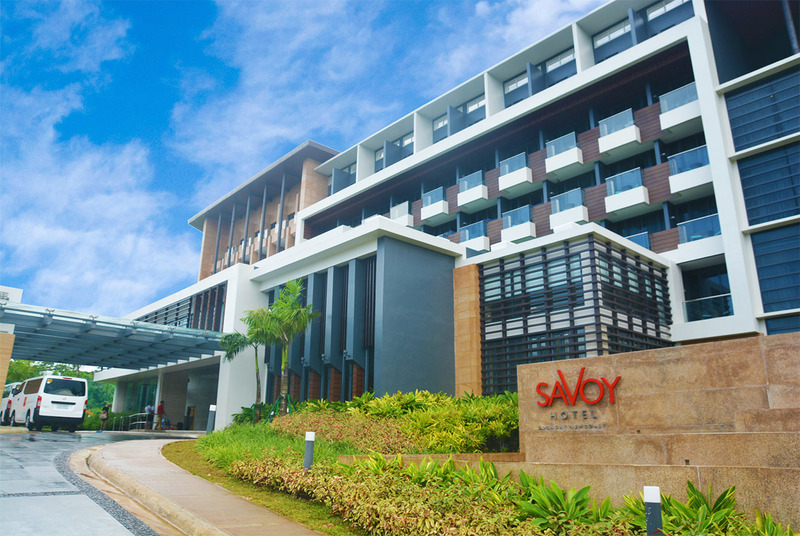 For that stylish comfort, unparalleled fun and pure relaxation, Savoy Hotel Boracay is the perfect place for you. Nestled in the heart of Boracay Newcoast, it features four-star facilities with its 559 well-appointed rooms and access to a 295-meter white sand beach. If you’re longing for a private beach time, a good 10-minute walk to Cove 2 of Newcoast Beach would indeed fill your perfect getaway. After a day of exploration on the island, Savoy Hotel’s chic rooms offer you a chance to relax with a view of the outdoors through your own balcony, a perfect spot to cool down after a day in the sun. Whether it’s chilling or having a great time, the hotel has got you covered! Spend your mornings with a sumptuous buffet breakfast at Savoy Café or indulge in local and international cuisine at Vienne Lobby Lounge for a more satisfying treat with its trendy ambiance that makes dining much more gratifying. On days that you do not feel like doing outdoor activities, the Chambery Pool Bar offers you a quick recharge with its refreshing fruit shakes and cocktails while having a dip in the pool or relaxing in the poolside cabanas and lounges. More than just a place for relaxing and eating, Savoy Hotel Boracay offers facilities – daily poolside activities and mini indoor game room for kids and adults alike, surely tickling their interest. Why lay around in bed when the hotel has also eco-friendly activities? A whole lot of exciting activities await including poolside movie nights, yoga, biking, sunset watching, and a series of non-motorized aqua sports activities such as snorkeling and kayaking! For active bodies, the fitness center is equipped with up-to-date gym equipment to keep your body in shape while the Lila Spa provides a welcome respite to soothe your senses. The hotel’s tagline, “Color Your Experience,” captures the total package of how we connect to our guests in the most unique, personalized and experiential way. It aims to excite the guests’ senses to create a long and lasting bond that will last a lifetime. Prepare to meet the waves and be among the first ones to set foot the beaches of this world-renowned destination!